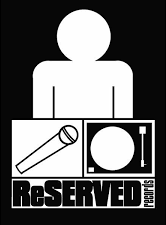 ReServed Records presents re:search “off beat specialties in the key of strange.” This is our monthly gathering dedicated to the advancement of sound. There will be live production sets by Diaba$e, Radius, Phantom Thrett, and Lanzo. Featured sets include Gilead7, Bottled Water, and Clockwize720. The event will take place at The Honey Hive Gallery 4117 Judah Street, San Francisco CA 94122. Doors open at 8pm and a $10 cover.